The Conversation Project - Limited time professionally printed Starter Kit discount – only through April! The Conversation Project | Limited time professionally printed Starter Kit discount – only through April! As always, you can print all of our starter kits for free off our website. 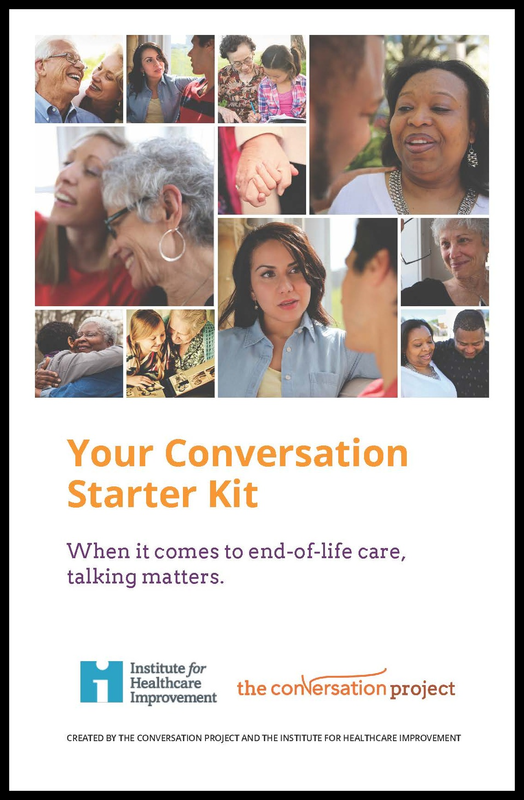 If you are interested in ordering professionally printed kits, we are offering a special discount on Conversation Starter Kits through our online marketplace through April in honor of NHDD! If you would like to take advantage of this limited-time offer, click here!